An elegant script monogram is the highlight of this classic, wedding invitation, featured in navy blue. 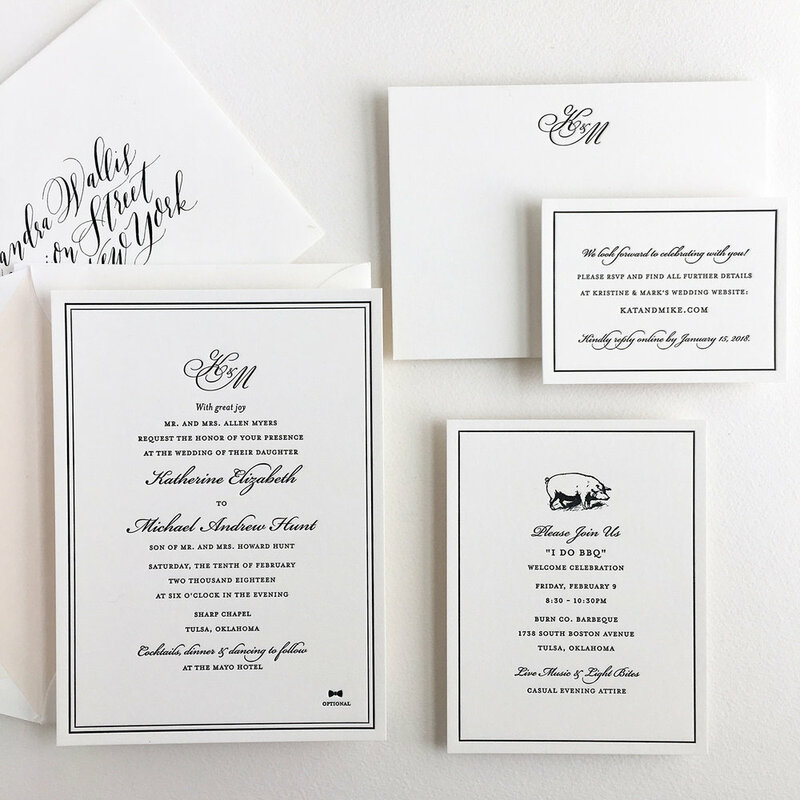 This wedding invitation set captures a traditional and formal feel. It features an understated border and a script monogram of the initials of the bridal couple. It looks beautiful printed in a single color, such as the featured navy, and can be further customized with painted edges in a contrasting hue. 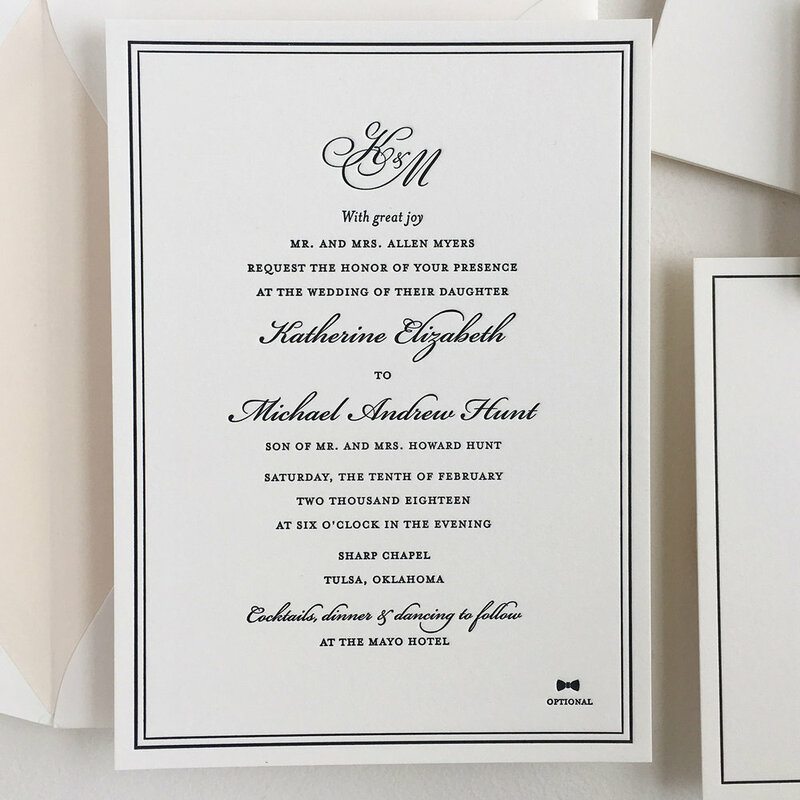 This design truly showcases the gorgeous letterpress impression.